Jamie Schaefer has proudly been helping homebuyers and sellers make an informed decision since 1995. This has easily made him Long Island’s most sought after home inspector, and he firmly believes in providing high quality home inspections at an affordable price. Your new home is a major investment, so make sure you work with a professional you can trust to carefully and thoroughly inspect everything. When you choose Jamie, you’ll benefit from his decades of home inspection experience and dedication to excellent customer service. Jamie Schaefer has proudly been helping homebuyers and sellers make an informed decision since 1995. This has easily made him Long Island’s most sought after home inspector, and he firmly believes in providing high quality home inspection reports at an affordable price. 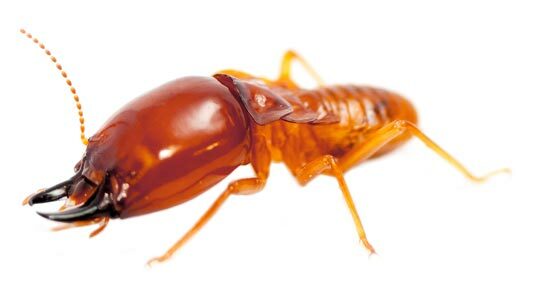 Traditional home inspections from Jamie Schaefer always include a termite inspection at no additional cost. Need something different? Choose from our numerous other inspection services. Jamie offers an extensive list of options to meet the needs of every buyer and seller in the New York Metropolitan Area. Working with a printed home inspection report can sometimes feel overwhelming, especially if the house needs a lot of repairs. Jamie delivers a digital report within 24 hours of your inspection – and it has the Create Request List™ (CRL™) feature. You and your agent can quickly access all the notes, photos, and videos from the home inspection online. With the Create Request List™, you can also ask for defective items to be repaired, replaced, or reimbursed. Share your List with your realtor, or anyone with an internet connection. If you’re buying or selling a home or light commercial building, you already have enough on your plate. Jamie’s extensive experience and customer friendly nature makes him the perfect choice.